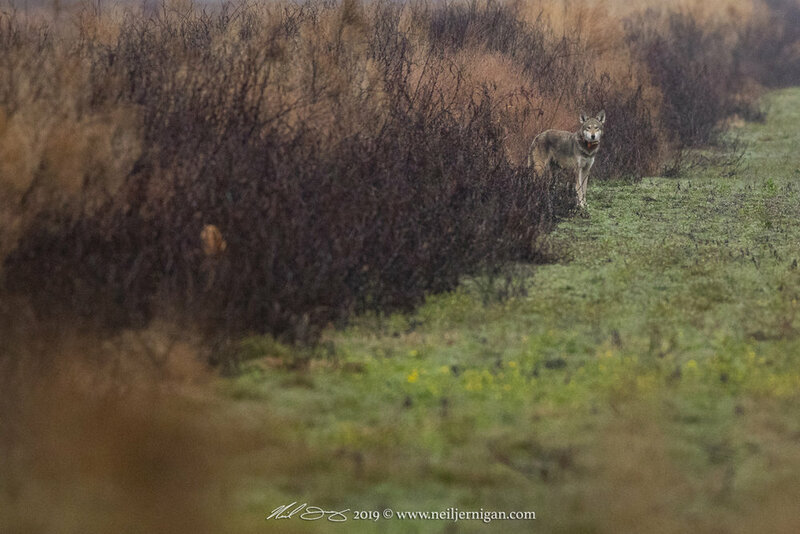 A few weeks ago I had the privilege to witness and photograph several red wolves all together at Alligator River NWR. Also got to photograph a bobcat!! A fellow photographer had recently scene & photographed them a couple weeks before my trip. So I knew there was a chance for an encounter but little did I know how great of an encounter I was about to have. They started out a good distance away from me and slowly worked their way in my direction. In all, I got to photograph 4 different wolves! As far as the bobcats, I saw one quickly run across the road beside me at first light. 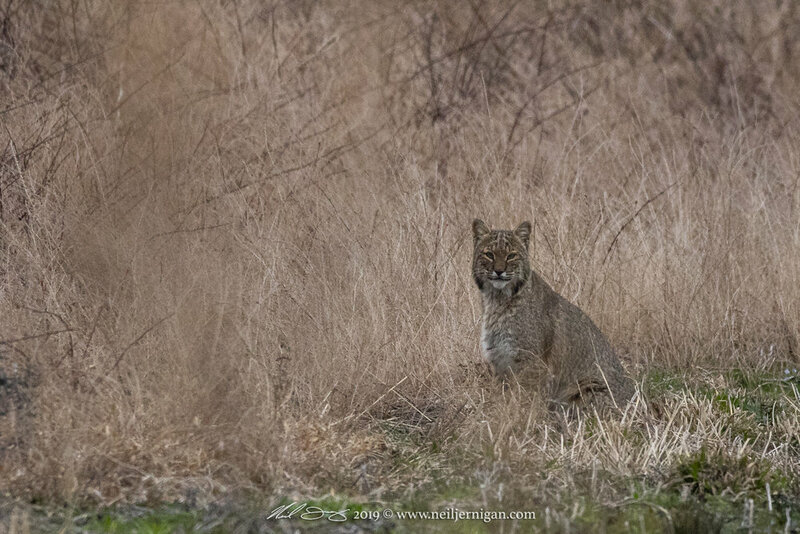 Later on in the morning I was able to find a second bobcat and photograph it as it moved through the tall grass. That afternoon I went back to that location hoping to see one again. I sat in my truck at the first location for a few minutes as I was deciding where to go. After determining that a spot about 100 yards down the road may be better I slowly drove to it. Just as soon as I put the truck in park, I noticed in my mirror, a HUGE bobcat walk across the road right where I was parked!! He had to have been sitting right beside me waiting for me to move. It was an absolutely amazing day! Here is a video recapping that days adventure! Be sure to share & comment your thoughts! Something I will never forget!